Monday, December 10, 2018 - These beautiful ladies had the ultimate revenge on a guy who was messing with them. After finding out that the guy was playing them, they did something crazy. They decided not to hate each other and instead became a couple. 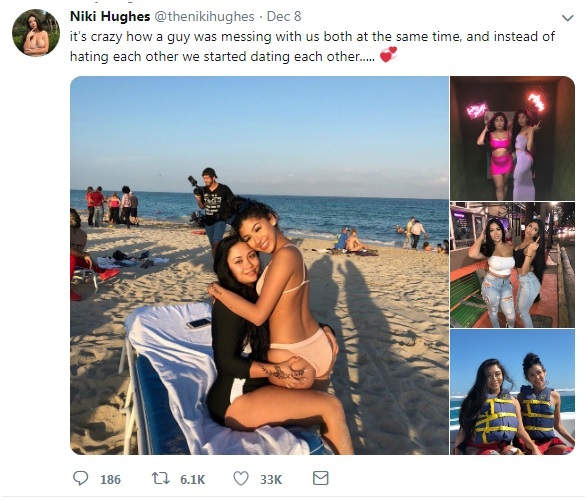 They took to social media to share some of their awesome moments together and they seem to be living their best lives. “It’s crazy how a guy was messing with us both at the same time, and instead of hating each other we started dating each other,” one of the ladies said.